!Hotel LUX, Loutra Ipatis, Ipati, Lamia, Greece! Navigate to our site and you will find pages with information about Loutra Ipatis, Ipati and our area. Also you can book rooms at the booking page, see the sights, the history of our region, places worth visiting. See even more information to get to Loutra Ypatis by car or trains and bus routes. 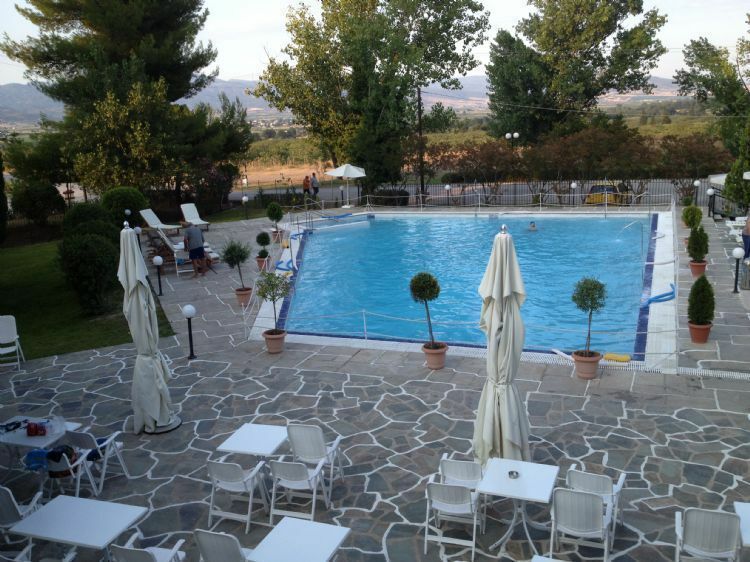 At Loutra Ipatis in Central Greece, right opposite to the healing spring there is the Hotel Lux. The mountain of Iti, at the foot of which is Loutra, in combination with Sperhios river that runs through the valley, creating a magical landscape, ideal for those seeking quiet and relaxing holiday. Our region is appropriate not only for those who need spa, but also for lovers of alternative tourism. The rich nature of the region offers unique routes for lovers of hiking, mountain bike, hunting, and generally for all activities associated with nature. 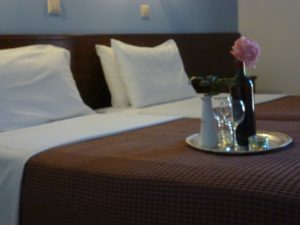 Our hotel, consisting of 24 rooms and in combination with our low prices, is a good solution for those who want to make spa baths, spend a few days rest and relaxation or just want to stay overnight in our area. The rooms of our hotel are equipped with air condition, TV, wireless internet, personal refrigerators, balcony, shower, and there is available space to park your car in front of the hotel. Cleanliness is our main concern and for this reason it is daily and attentive. Our region receives thousands of visitors each year who enjoy the beneficial properties of the waters of thermal springs. At this point it should be noted that the provision of hot water of Loutra Ypatis is unique in Greece. It is the only source in Greece, and one of the few worldwide, that the water is acid-carbonic.